The large 2,000-year-old pool in Petra. Credit: Leigh-Ann Bedal. 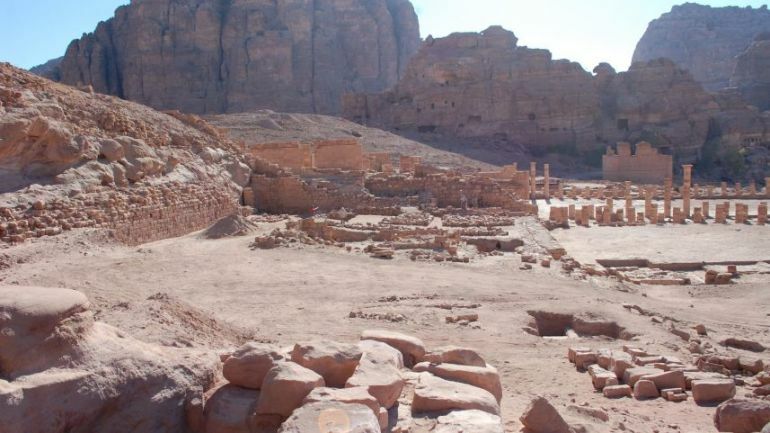 While the ancient site of Petra (or originally known as Raqmu) is renowned for its intricate facades of fascinating rock-cut architecture (thus making it Jordan’s most visited site), there was more to this ancient city than its impressive series of structures. 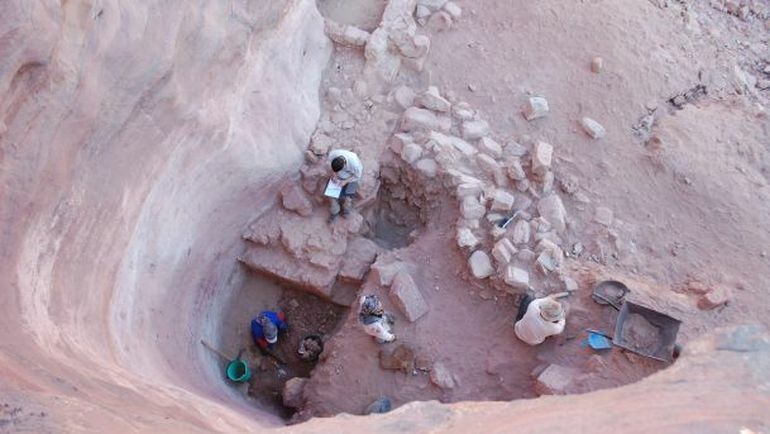 After more than 2,000-years, researchers have now discovered the long forgotten gardens of Petra that were painstakingly conceived within the arid conditions of the desert. Complemented by fountains and a large pool in the central section, the secret to these gardens’ existence lied in the advanced irrigation and water storage systems that sustained the verdant ambit. The pool marks the terminus for an aqueduct that transported water from one of the springs, ‘Ein Brak, located in the hills outside of Petra. The pool’s monumental architecture and verdant garden served as a visual celebration of the Nabataeans’ success at providing water to the city center. Water shaft in Petra. Credit: Leigh-Ann Bedal. 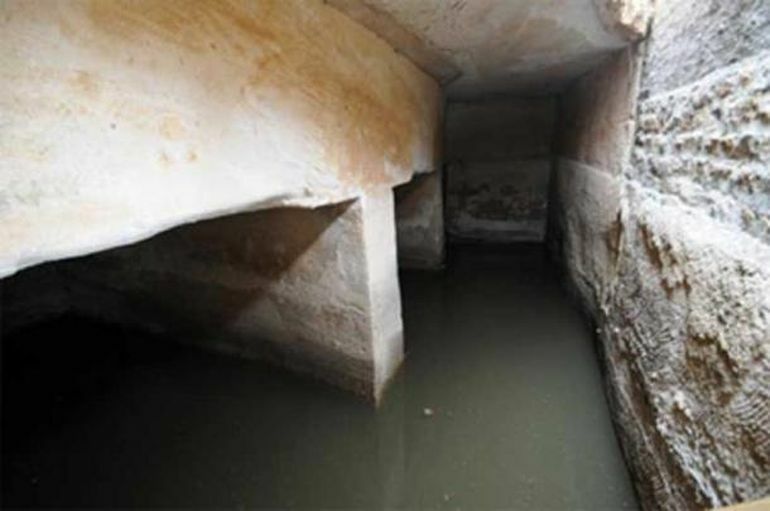 The scope of irrigation and water storage was confirmed by the discovery of a shaft delivered water at a level of 30 ft downwards, and was used for connecting an aqueduct network with the pool. This system was accompanied by an array of strategically constructed underground channels that were instrumental in controlling the run-off during the scant rainy season. 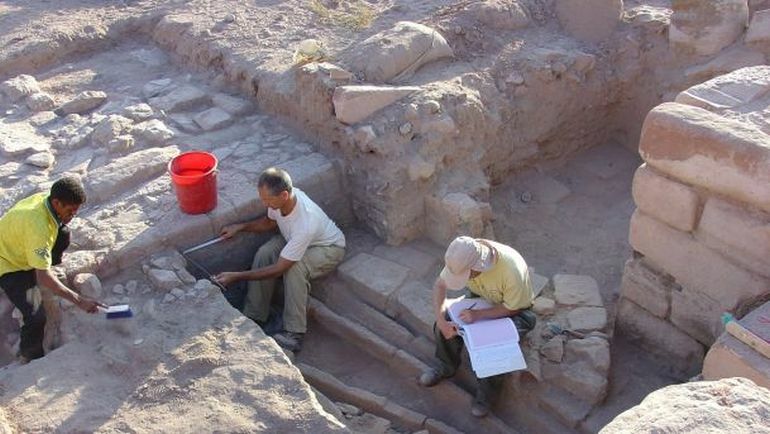 This entire network not only consisted of channels but also included a planned patchwork of underground cisterns, water tanks and even ceramic pipes. These infrastructural components allowed the salvaging of clean water for hygienic consumption, while also channeling water for agricultural activities. …abundant springs of water both for domestic purposes and for watering gardens. The remnants of the irrigation channels. Credit: Leigh-Ann Bedal. Underground large cistern at little Petra. Credit: Larry W. Mays.